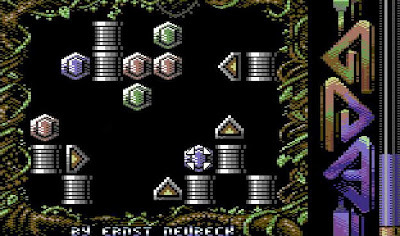 Ernst returns to the competition with a follow-up to Phase Out, a puzzle game originally developed for last year's compo that sadly failed to meet the deadline. Hopefully Ernst will have better luck this time! 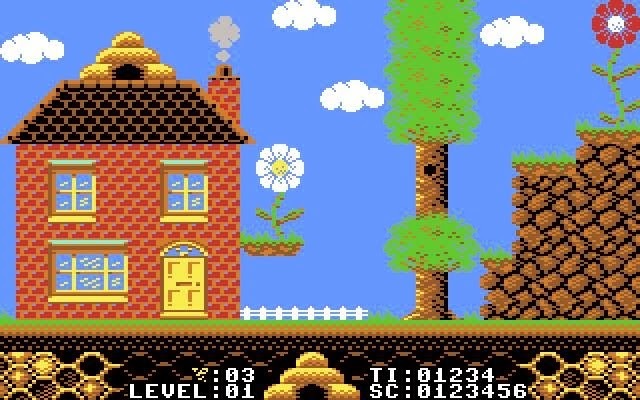 Gem features some fantastic artwork by STE'86 and Dandee, and although I've not seen a playable version yet, I suspect it will play similarly to Phase Out, with logical gem-sliding and cancelling-out action against the clock. I eagerly await a build in my inbox! I don't normally get excited by snake games, but this one looks so ace that I had to post all three screen shots that Antonio sent me! Currently 50% complete, but NEEDING A GOATTRACKER TITLE TRACK (please contact me or Antonio if you can help! 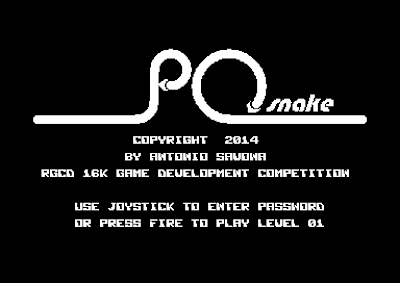 ), P0 snake is a single button game featuring 24 levels packed with puzzle and action madness, in-game 8bit-digitized speech and sound fx, keyboard-less password system, teleport stations, different terrains, multiple enemies, themed-levels and much more! Totally awesome, and I can't wait to see how it plays! 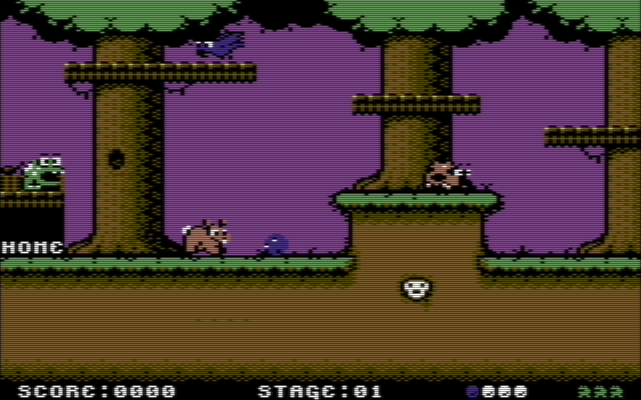 When I asked for some information on this collaborative platformer project by Steve and Saul, I received an email back explaining that "Pickle is a pod who has to guide his podlets to safety from woodland creatures". Which sounds a bit like the kind of thing someone would say after dropping acid. But hey, it looks cool in that shot above, with Saul's artwork giving the game a cute Codemastery-style vibe. 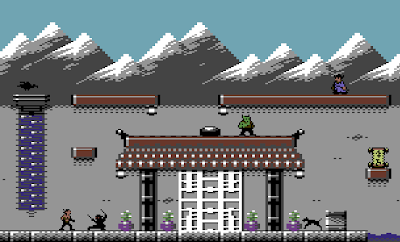 Well, us C64 fans are a lucky bunch - Falling is apparently the third game that Saul Cross is providing the artwork for, and look at that wide-pixel lusciousness above! 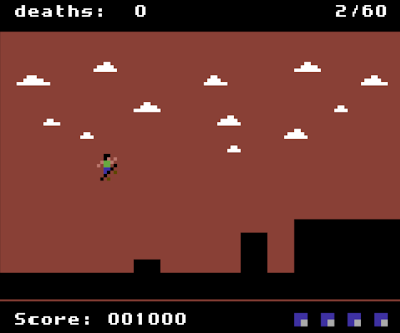 Coded by the C64 Rocky Memphis port coder Wanax, Falling is a single button game that I guess is probably a demake of a mobile or casual online game (Saul credits the design to Neil Auchterlounie, but Google is throwing up a blank on searching that name for me). Looks super fun anyway! Oh. My. God. I've been waiting for a new C64 shmup for some time now, and this game looks set to tick all the right boxes for me. Similar to Uridium/Uridium 2, you can swap the facing direction of your craft, and the chunky steam-punk visuals make the game really stand out from the crowd. Achim explained via email that "the idea is to have four stages for each level. 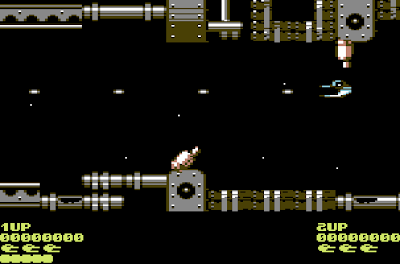 First you approach space station, flying through an asteroid field. Then you take out turrets, survive attack waves and destroy the space station. The turret and attack waves are done, and I'm not sure how the station destruction should look like yet! A name is also missing, so suggestions are welcome!" Well, if you want a name Achim, I suggest having a play with the super silly generator on this page :) - keep hitting refresh until you see one you like. 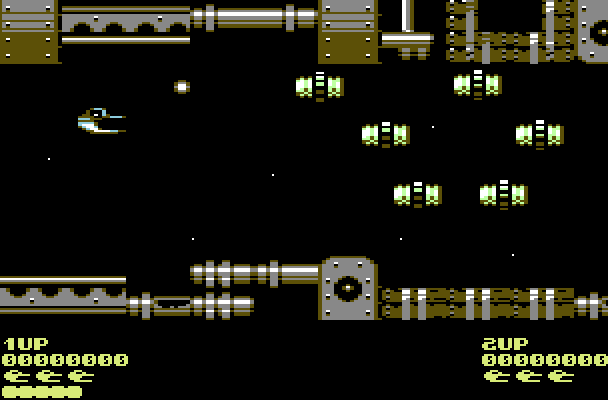 Anyway, from playing the preview, there's some great progress being made here! 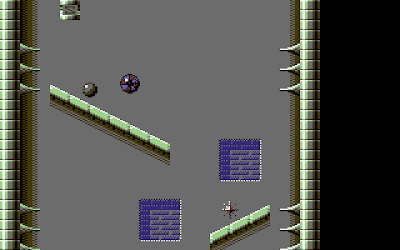 Ok, so I'm probably a bit presumptuious adding this one to the update, but after reading his excellent blog posts on Co-Axis (here and here), I dropped Jason a line and asked whether or not his revisited 1980's shmup would be enetered, to which he replied "if I can get it working from cartridge it will be, but right now it's being 'difficult'..."
Fingers crossed then - it would be great to see this old gem given a proper release! I actually know very little about this one. According to Steve Day (who has provided some of the artwork), that image above is simply a background (i.e. where's the bee?! 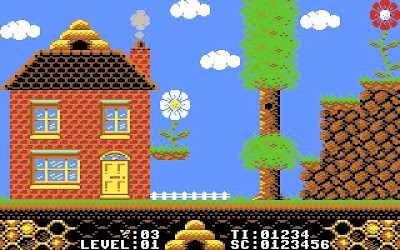 ), but apparently Honey Bee is a pollen-collecting/honey-making/avoid-em-up arcade game of sorts - which sounds more than slightly original at least! Anyway, it seems he has quite some work to do, so good luck Rich! A new game by a new developer! 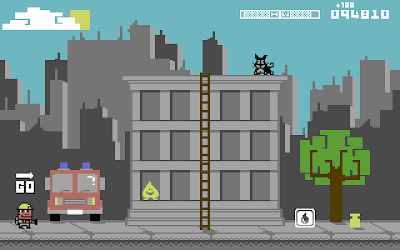 Very loosely based on the Nintendo Game and Watch game 'Mickey and Donald', Fire Frenzy is shaping up to be very simple but addictive little game. 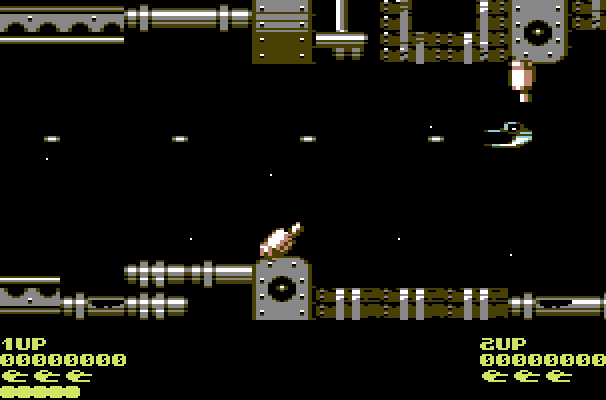 The player controls Francis the Fire Fighter, continually extinguishing the endlessly-spawning fire entities with the action becoming increasingly more difficult over time. The plan is for some unlockable achievements along with some hidden easter eggs, and Craig advises that it's currently around 60% complete. Keep up the good work! Hey! Roy Fielding is back! 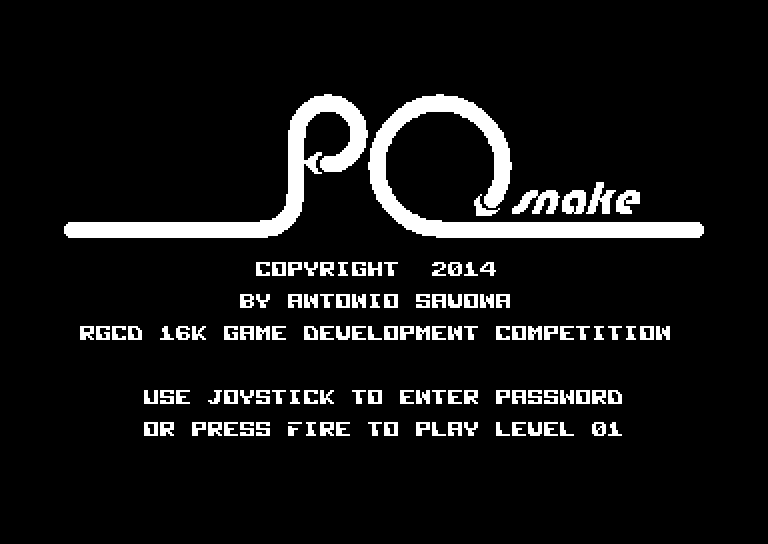 As in the guy who created one of my fave C64 underdogs (Hektic 2)! To be honest, I shouldn't have posted the video above as Roy stated that it was a project he was going to enter, but has since decided to pursue another idea involving gravity and grappling hooks. 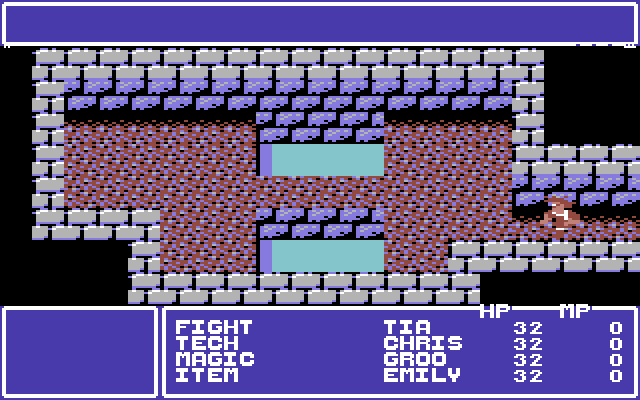 Shame though, it looks just like a C64 interpretation of the indie-game-that-never-was Baldings Quest. 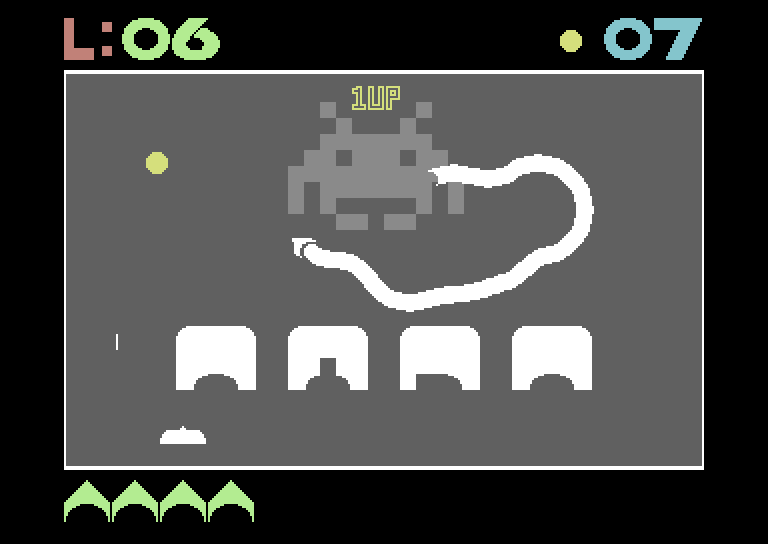 Anyway, Roy's return to the game development scene is more than welcome! It's C64 Demake time! 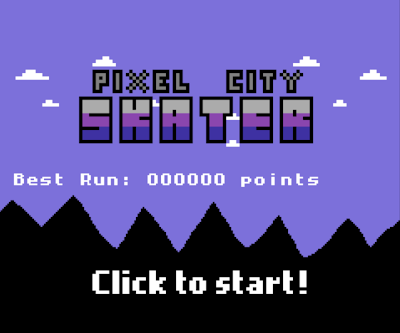 Hokuto-Force are bringing the one-button skating epic Pixel City Skater to the breadbin, with an official conversion of the original release. The game is a simple one-button-game where you control a skateboarding pixel character through 59 stages. Skate through the dangerous city streets where a single mistake results in instant death! Apparently this is now pretty much complete, and Luigi recently mailed me to advise that he is now starting a second game. Get on! No stranger to mini-rpg adventures, Georg returns to this year's compo (Shhhh! Don't tell Trev!) with a souped-up remix of an old game he created in BASIC some years back. Georg wrote a few days back, advising that he has "FX (from Lemon64) on board as graphician. 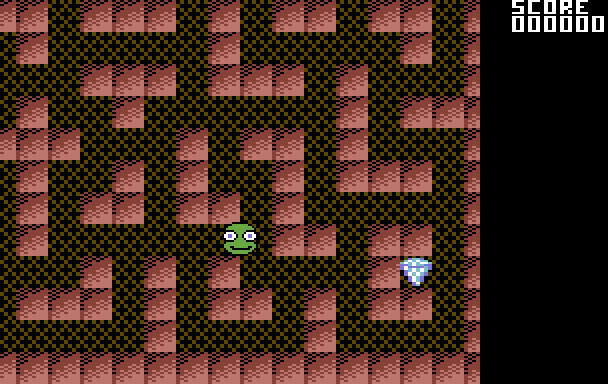 He's made some fantastic tiles and enemies. 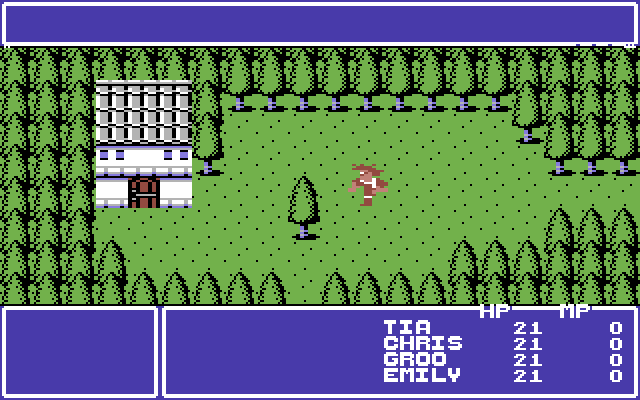 In the current version you can run around, fight and get killed. There are a few enemies about, some of them quite unbeatable as of yet." 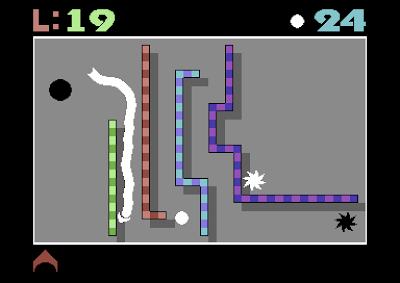 Another competition veteran, Geir promises to deliver a healthy slice of classic gaming in the guise of Brilliant Maze, an enhanced remake of his Diamond Maze 64 from 2002! 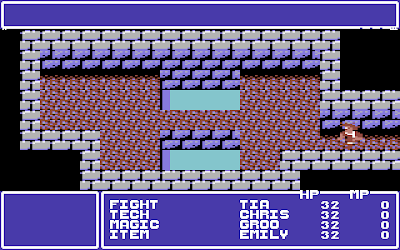 Geir emailed me and explained that "the game will feature a scrolling maze, with enemies chasing the player object and various stuff to pick up (e.g. "tools" which may be used to slow down the enemies, confuse them etc.) 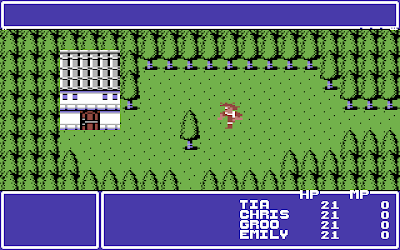 It will also be possible for the player object to teleport from one location in the maze to another. 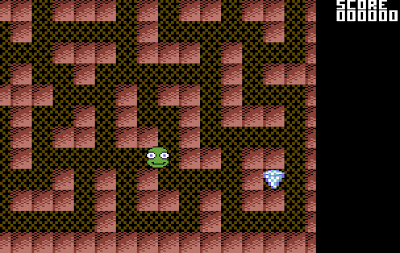 There will be several levels (mazes). Sean Connolly will provide music/sound for the game." So far the game seems quite playable, so I'm keen to see this one develop! And that is the end of this update! As always, I'll do my best to keep you informed of the progress of these as we approach the deadline (only a few months to go now).